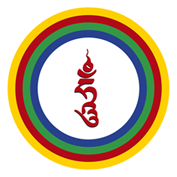 Next webcast starts at 10.00 today (Khenpo Tseten)! Wanneer mogelijk zullen op deze pagina de teachings vanuit Dzogchen Ling live zijn bij te wonen via internet. If and when possible you will able to watch teachings live on this page. If the advertisements are annoying, we recommend using an adblocker like adblock plus, in combination with Google Chrome that seems to prevent the ads from being shown.